Welcome, parents! 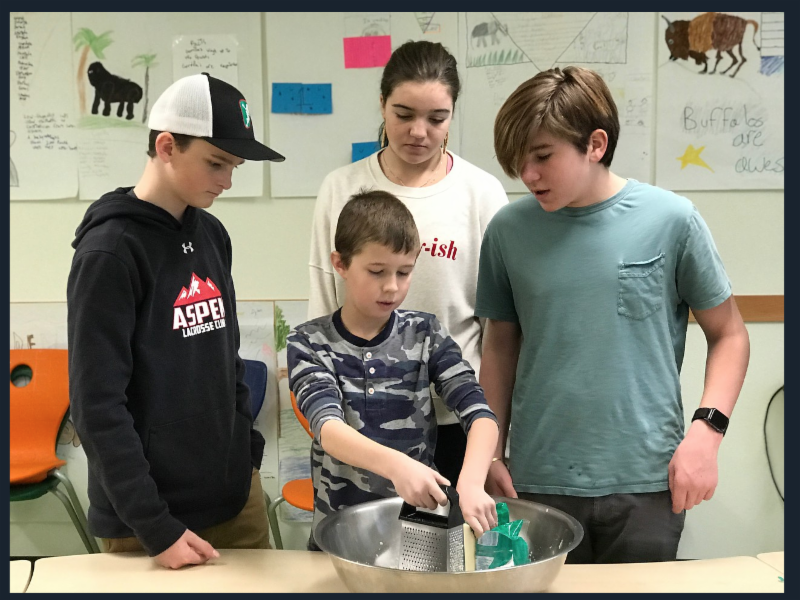 In this section of our website, find information and resources to help your children and your family thrive at Aspen Country Day School. In addition to what you find here, current parents can access personal information such as gradebook, class schedules, and messages from teachers via our parent portal, mycountryday. Click here to log in! Current parents: want to sign up for notifications from mycountryday? The day began in an all-school assembly and the big reveal of a collage students made with portraits of all their teachers, as thanks for their service to children. We heard from guest speakers about military service and about the work of a non-profit helping children in Haiti. Then the student leaders explained the plan for the day, which they have been working on for many weeks. "I am honored to have had the opportunity to work with Zoe C., Colby V., Duncan S., Leo H., Tess M., and Ana C. in planning for today's 4th Annual MLK Day of Service," said Morgan Henschke, Social-Emotional Learning Coordinator at ACDS. "These six dynamic Middle School students worked all fall to plan their service stations, prepare for the all school assembly, and practice leading their peers through service projects. They are fabulous examples of leaders and change makers. I can't wait to see what these future leaders of America will do!" and cooked a meal to deliver to the Aspen Homeless Shelter. Third Graders completed two new Free Little Libraries that they have been working on for months. These cool mini-lending-libraries will soon be available for all to enjoy on campus! Thanks to all the teachers, staff, and parent volunteers who made this commemorative day possible.